Fernando de la Iglesia Viguiristi S.J. The Faculty welcomes students and researchers from all over the world wishing to study social sciences in the context that is both ecclesial and academic. The scope of this formation is to e quip the students with the necessary competences so that returning to their countries of origin, they will undertake qualified activity in social and apostolic action, at the service of the local Churches, with the teaching and promotion of the Social Doctrine of the Church and of Social Sciences. 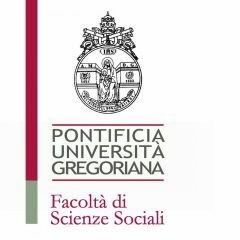 True to this vision, both doctrinal and pastoral, inserted into the Roman ecclesial context, the Faculty of Social Sciences proposes a program of scientific training in various disciplines of social sciences. Please check our program for the Academic Year 2018-2019. ↗ Interested in studying at the Gregoriana? ↗ For more information please contact us! The Social Sciences Faculty was founded in 1951 as part of the Philosophy Faculty. It became an independent academic unit in 1972. In 2013, elements of the program of the Interdisciplinary Centre for Social Communication, founded in 1980, were integrated into a new specialization in Social Communications. Today, the Faculty offers the Baccalaureate in Social Sciences; three specializations at Licentiate level, namely: Social Doctrine of the Church and Public Ethics, Sociology and Social Communication, and the Doctorate in Social Sciences.